Our reaction to cowbirds gives us some insight into how the moral judgment part of our minds works. OK, so, it’s a metaphor. Raven is pointing out that there is such a thing as enabling. Under the guise of helping, the enabler functions to allow someone to continue with their bad behavior when what would really help them is to be forced to come to terms with it. But never mind the metaphor. Can we talk about actual, literal cowbirds for a minute? First of all, Master Raven is wrong: the wrens are helping the cowbird. Second, the truth about cowbirds is worse than what Woodpecker tells. I looked into it. I did so because I live with a bird person, and if I’m going to solicit her engagement in a conversation about Cartesian dualism or John Rawls’ Theory of Justice, then I need to also be prepared to hold up my end of some bird conversations. The wrens – or any of the 221 host species that the brown-headed cowbird might impose upon – help the cowbird at tremendous cost to their own brood. Half or more of her own chicks are typically going to be lost – starved out or killed by cowbird chick. Why do the hosts put up with it? Are they too stupid to know that this big honking cowbird chick is not their own? Probably they know. But here’s the thing. The cowbird parents swing by and check on things from time to time. 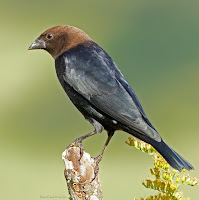 If the cowbird chick is killed or ejected from the nest, then cowbirds have been known to swoop in and destroy the nest and kill all the chicks. It’s a protection racket. When the wren returns home and finds a cowbird egg, it’s like it comes with a note attached saying: “lovely nest you got here – it’d be a shame if something was to happen to it.” The host species accepts the cowbird cost because they hope to save some of their own hatchlings. Ornithologists call this the Mafia hypothesis for explaining cowbird success. 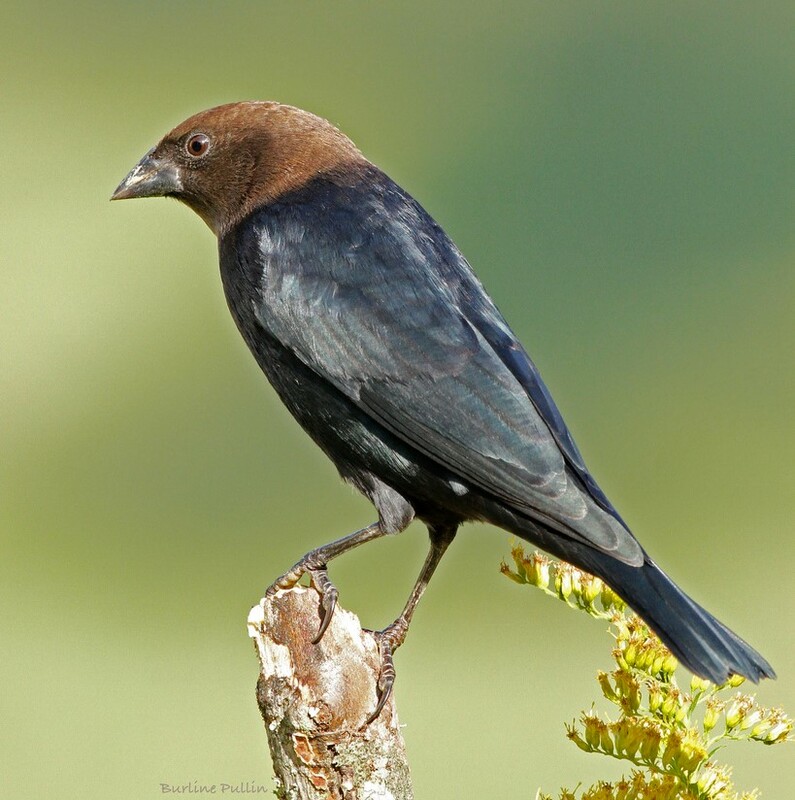 Cowbirds get their name from hanging out around cows and horses. They feed on the insects stirred up by livestock. They’re a New World species, and before Europeans brought over livestock, cowbirds followed bison. Bison are migratory, so according to one theory, the cowbird has to be on the move, so it can’t stay in one place long enough to build a nest and raise a brood of chicks. They have to depend on a host species, or the poor cowbirds can’t reproduce at all. But wait a minute. I checked into this, too. Bison herds, for thousands of years before Columbus, would migrate a few hundred miles south in winter, and then back north when it warmed up. They aren’t constantly on the move. Geese and a lot of birds spend more time than that in migration themselves and still have time to build their own nests and feed their own offspring. Plus, we know the cowbird parents are often hanging around threateningly, checking up on their chicks. They never had to be off following the bison constantly. I’m not falling for these cowbird lies! So. Why did I tell you this -- besides the fact that cowbirds are intrinsically fascinating? I wanted us to notice how our minds process this. You might have noticed two competing things happening. For one thing, hearing about cowbirds might have incited the moral judgment part of your mind. Those freeloaders! Making other upstanding birds do all their work for them – coercing the hosts with threat of destroying their nests. Our human evolution wired us to be particularly attuned to the freeloader problem – it gets our attention which manifests as indignation. But then you probably also had another part of you that said, cowbirds have no choice; it’s what they evolved to do; it’s all they can do. Moral judgment of cowbirds is pointless. It can’t do any good. Cowbirds gonna do what cowbirds gotta do. We might feel a little tug of judgment, but I think most of us find it pretty easy to let go of judgment when it comes to species other than our own. We’re ready to approach their behavior with open curiosity – trying to understand rather than judging and condemning. So why not bring the same attitude to people? Whatever it is that makes cowbirds act the way they do, SOMETHING makes them act that way. If the boss is petty, the teenager sullen, you can’t stand your parents, have been wounded by your partner, or you see yourself as all wrong, SOMETHING is making them, and you, that way. Forgive ourselves and each other – begin again in love. So often that is exactly what is needed. I mentioned cowbirds because so often there’s no more point in holding onto our moral judgments about other people than there is in holding on to moral judgment about cowbirds. That needs emphasis. In the considerations that follow, I am coming from a grounding in the awareness that so much of the time our moral judgments serve no purpose, do no good, and just make us miserable and closed. The best thing to do is let go of them. So much of the time. But not all the time. In a democracy we all bear a responsibility for the way we are governed. Howsoever limited and flawed our democracy may be, we bear that responsibility. 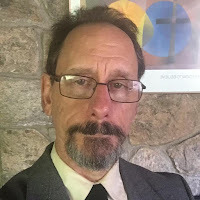 If letting go means we are silent about harm done, and if silence allows that harm to be perpetuated, then we are obliged to not let go, but hold on – to speak up, exercise moral judgment, and condemn what is wrong. This is part 2 of 3 of "Forgiveness. Kavanaugh. Also Cowbirds." See also: Part 1: Apology and Forgiveness.